EstYes » Blog » Into the wild! Our initiative project is a one day trip to Soomaa national park with a group of youngsters from Abja-Paluoja, which was planed by me in cooperation with Coretin Bideau, a volunteer from France, who works in the kindergarten in Kilingi-Nõmme. Firstly, we planed a three hour long canoeing trip with a guide through Soomaa, followed by a lunch break. Additionally, we would visit the Tipu nature school for a colorful nature themed program. Since the start of my EVS I wanted to use the possibility, given to us by our coordinating organization, to plan my own little project. I wanted to create an active and nature related event for my local youngsters, since my happiest childhood memories are consisting of both, nature and sport. 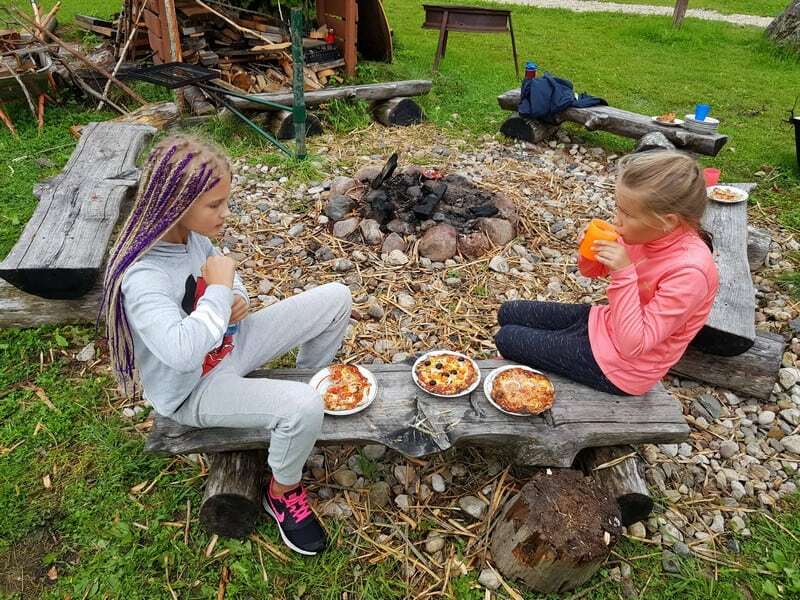 My vision was to open their eyes for new, fun activities outside to show them how interesting and diverse the nature is and, most importantly, to have a great time together! Another aspect that was dear to me, was to include some of my volunteer friends to have a intercultural exchange and encourage the youngsters to ask questions and be open-minded. This was the moment when Corentin joined the project. Together we also planed an introduction game for the start of our trip to create a group dynamic. After a lot of planing and preparation the day of the project had finally come. 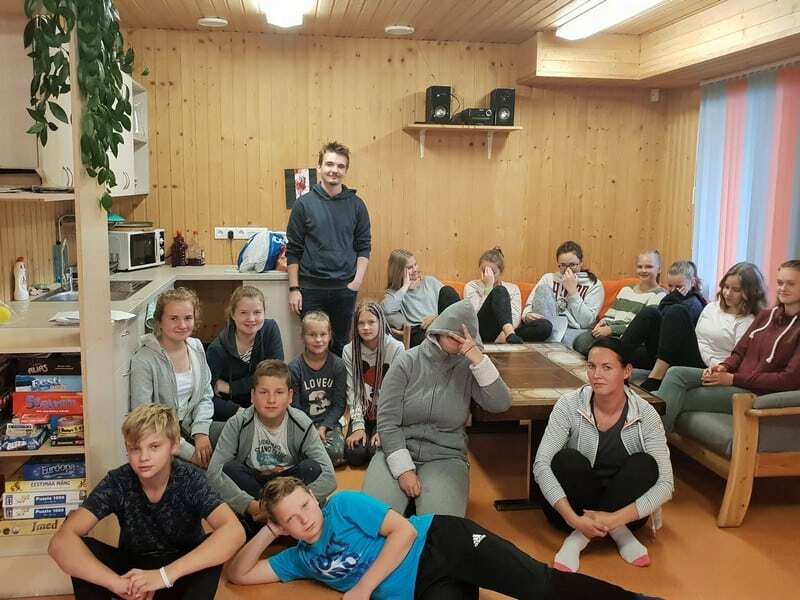 On the 15 th of August all the participants, Corentin, my tutor and me met at 9.30 in the Youth Center in Abja-Paluoja. We played a game called “Mission Impossible”, which is made up by many small tasks that the group has to fulfill in a time limit of 20 minutes. Unfortunately, the game didn’t work out as planned, since the youngsters were not prepared for this kind of game and not very motivated. Nevertheless we managed to solve a few tasks together and Corentin was also included to the group easily. After the game it was time to start into the adventure! 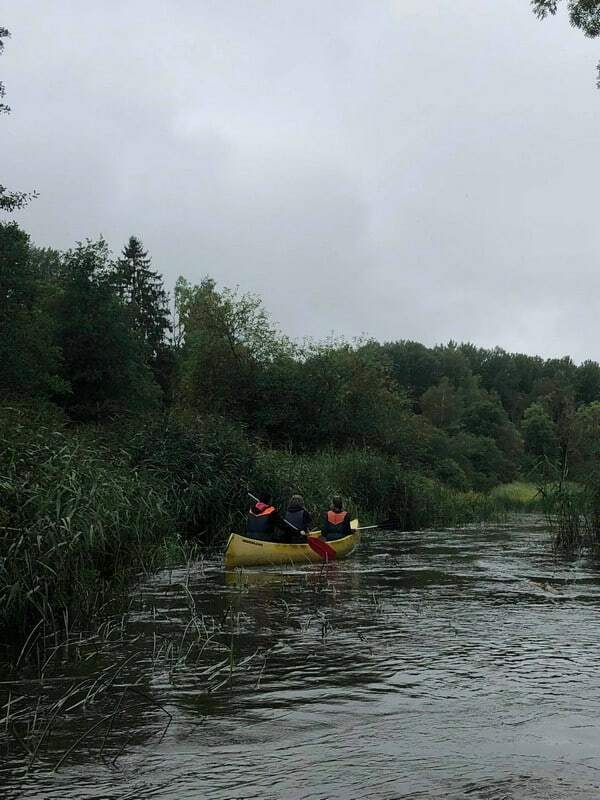 Through heavy rain and over demolished and drowned roads we made our way to the Soomaa national park, where we were awaited by our canoeing guide. He introduced to us the equipment, best paddling techniques and the safety rules. After everybody received their safety jacket and a paddle, we teamed up and got into our boats. Corentin shared his boat with two older boys, who were very happy to have him with them and I got into the boat with two of my friends from the Youth Center. As if somebody had prayed for us, the weather cleared up already during the instructions and when we got in the water it stayed dry until we docked onto the shore again. 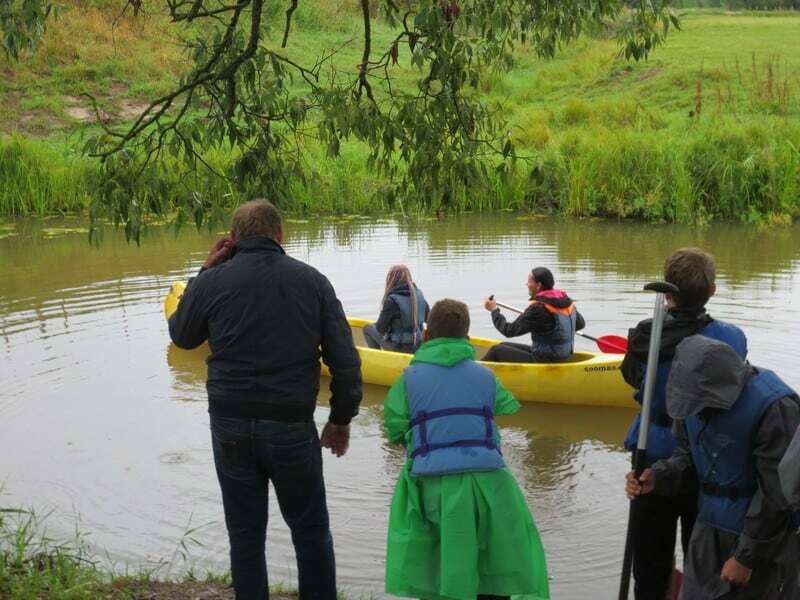 For some participants it was the first time that they were canoeing, but they learned very quickly. My own boat was at the end of the line and we took our time paddling through the beautiful nature of Soomaa. After some time we had lost the others completely out of sight and we fell back so much by bumping into stones and water plants that we arrived ten minutes after all the other groups. 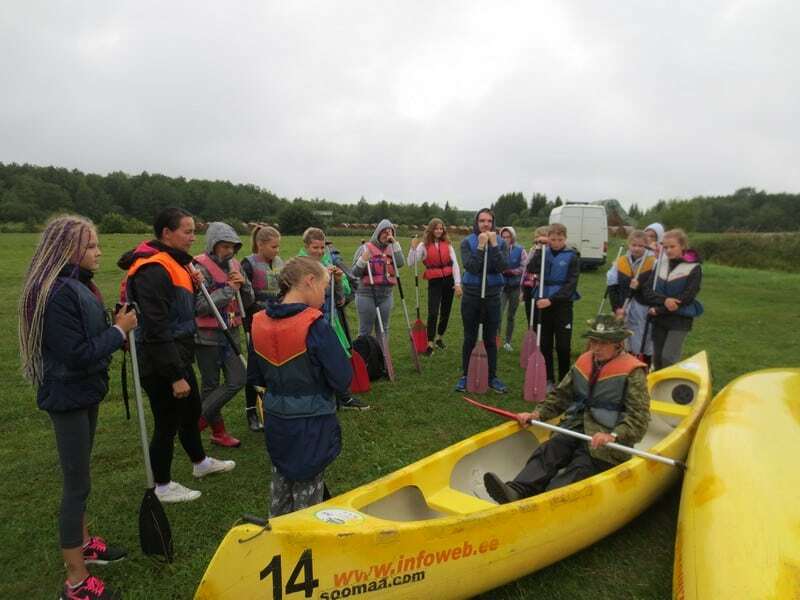 We got onto the shore, some a little wet from all the paddling, some tired and with aching muscles caused by the unusual arm movement and the uncomfortable sitting position, but we all were happy and pumped by the fun trip. To raise the spirits and reward everybody for the great teamwork, we had a big lunch break with apples, sweets, cereal bars and buns from the local bakery in Abja. After our break we got back on the road heading to the Tipu nature school. The kids used the little time before the program to discover the place and all the animals that it accommodated. Our program was led by two very friendly women, Stella and Mari. At first, we played some introduction games and group building exercises. Those were followed by all kinds of fun games, as for example a version of volleyball with wooden boards and a paper ball, that awoke the youngster’s competitive spirits. Afterwards, Stella showed us, how to carve with knives different shapes and patterns into wood. Some of us carved knives, forks or a spoon and others just decorated the pieces of wood beautifully. 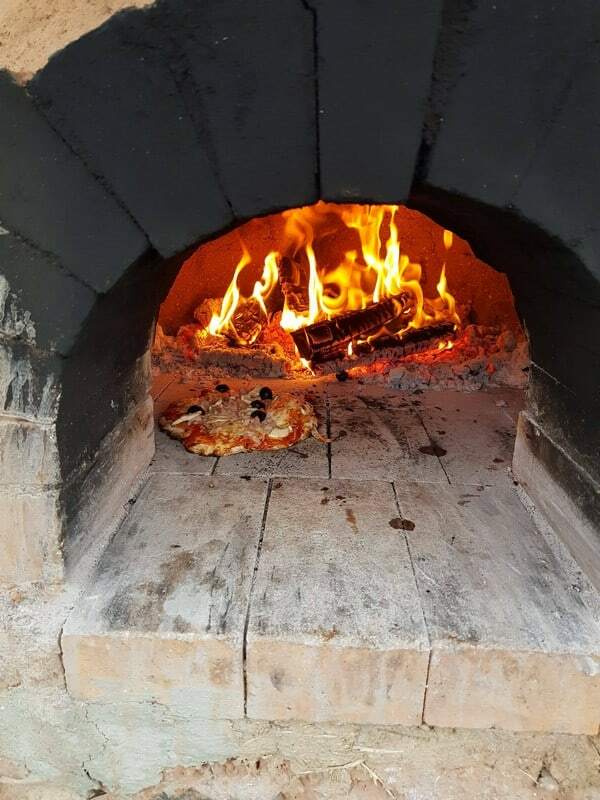 At last, they fired up a self-made clay oven and everybody could garnish their own pizza. All in all, Corentin and I see the project as a full success. Everything worked smoothly, the youngsters were motivated, interested and open for new things and we all had a wonderful time! I can only hope that this motivates more youngsters to go out for a change and try out new activities. Because life is about taking chances, trying new things, having fun, making mistakes and learning from it! 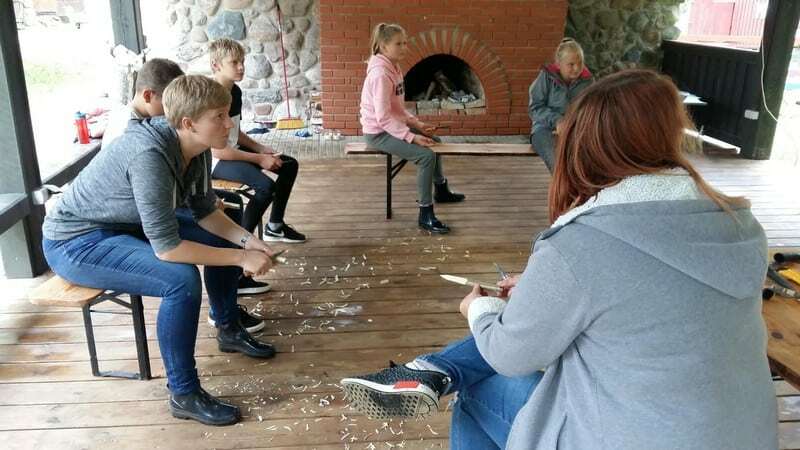 Sabrina stayed in Estonia for 12 months within the project “Boost the Mind” which is funded by Erasmus+ European Voluntary Service program. 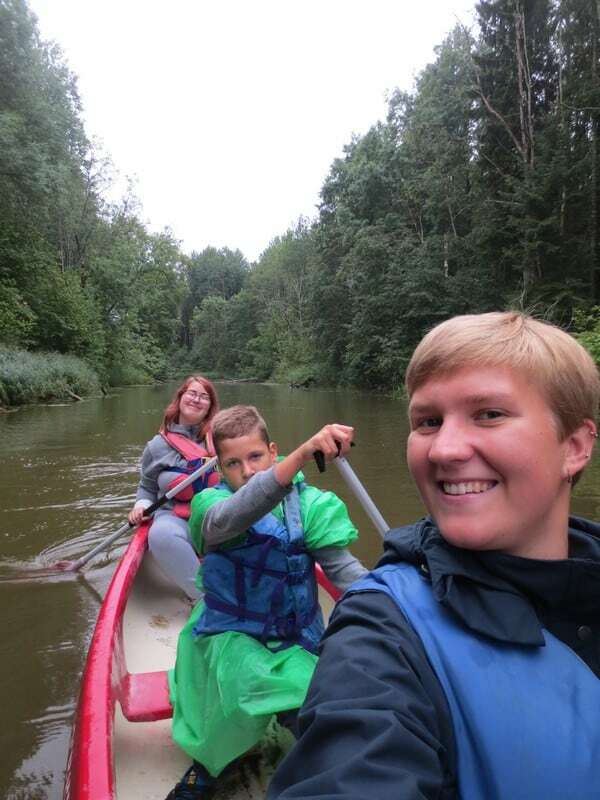 Corentin stayed in Estonia for 11 months within the project “Boost the Mind II” which is funded by Erasmus+ European Voluntary Service program.